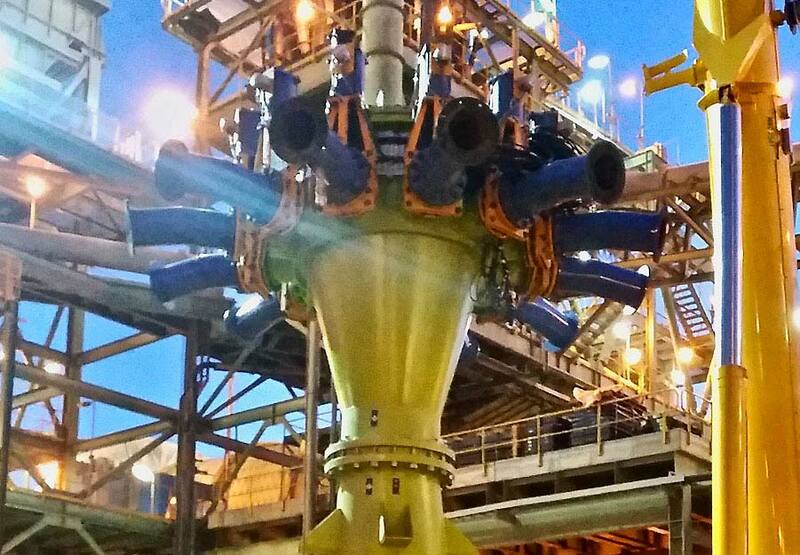 Improving cyclone cluster classification performance in mineral processing operations. We provide flow modelling in real time with high speed cameras. 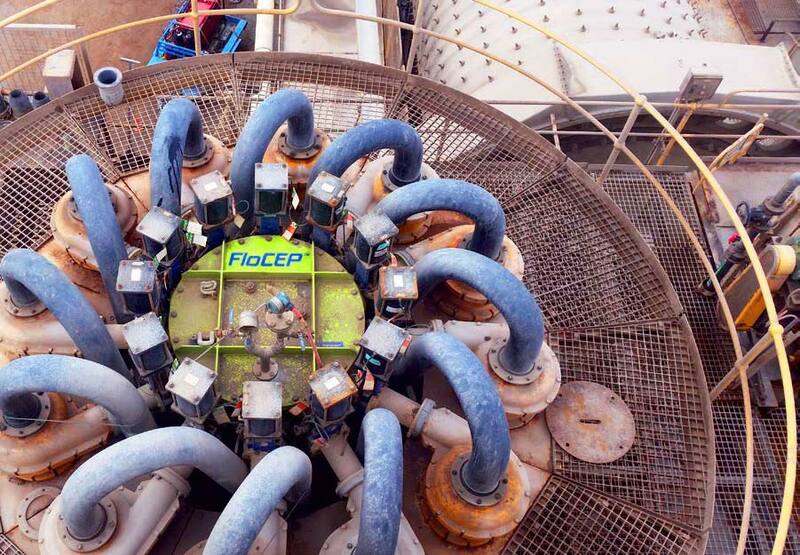 FloCEP is a fully Australian-owned design, engineering and manufacturing company based in Perth, Western Australia. During our 30 years of custom engineering and fabrication service to the hydrometallurgy, oil and gas and mineral processing industries, increasingly apparent areas of processing inefficiency were identified. The unequal distribution of mineral grains in feed to various plant components such as cyclones, gravity circuits, screens and filters was a common, yet overlooked phenomena. The wider and deeper our investigations continued, the more inefficiency we discovered. Cyclones were unequally fed, with resultant classification ineffectiveness. Some filters, shakers, spirals, regrind mills were less or more solids-loaded than others, causing processing inefficiencies and higher maintenance. Overall, production losses and higher maintenance costs appeared to have a common culprit – unequal distribution of mineral solids in split streams. Customers are seeing breakthrough benefits in throughput, improved classification resulting in recovery increases through improved mill throughput and/or reduction of oversize ‘leakage’ downstream. 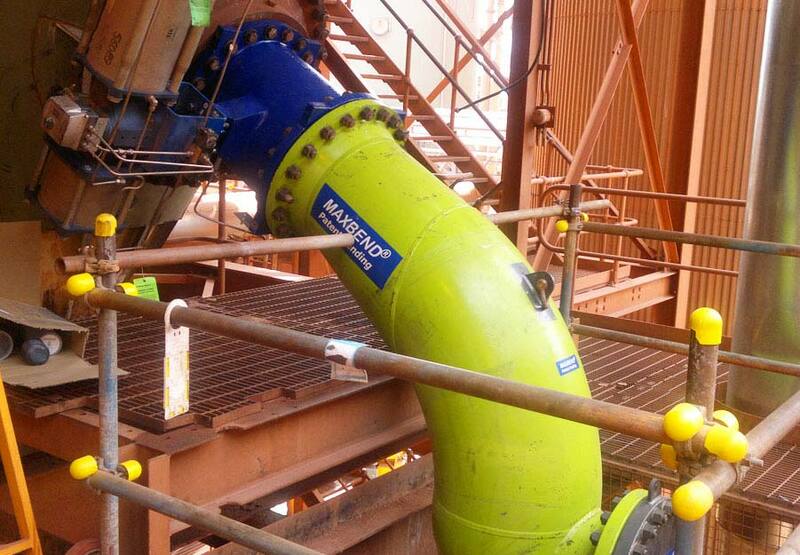 FloCEP retrofits are delivering astounding returns on investment in FloCEP products. The AusIMM Mill Operators Conference is being held in Brisbane this year and the FloCEP team are proud to be on board as gold sponsors for the event. Have a question on our services, products or simply something else?